Beginning with the dynamic world awaiting Agent 47, the trailer showcases six diverse locations, including Hawke’s Bay (New Zealand), Miami (United States), Santa Fortuna (Colombia), Mumbai (India), Whittleton Creek (United States), and the mysterious Isle of Sgail (North Atlantic), all with unparalleled game depth, countless interactive possibilities, and the absolute freedom to approach each mission your own unique way. 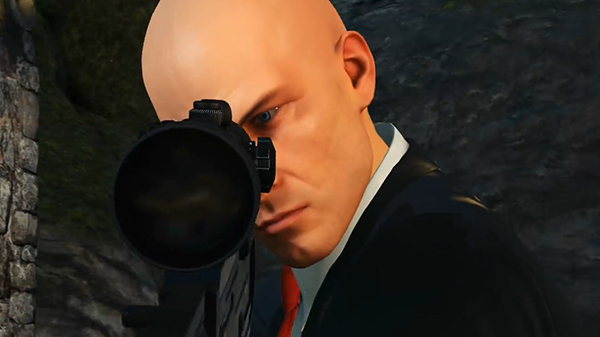 Players can also enjoy franchise-first multiplayer modes in the form of Ghost Mode, IO Interactive’s unique take on one-versus-one online competition, and Sniper Assassin, a standalone mode that brings a cooperative experience to the Hitman series for the first time, allowing two players to work together online to take down their targets. Additionally, Hitman 2 will incorporate a variety of different upgrades and enhancements, including smarter combat A.I., a brand-new mini-map, security camera grids, picture-in-picture replays, an abundance of new tools, strategic use of mirrors, the ability to hide in crowds and foliage, the return of the fan-favorite briefcase, and much more! All of these new features will be included in Hitman 2 at launch on November 13, and the ever-expanding world of assassination will continue to grow with a consistent flow of post-launch live content via Elusive Targets, Escalations, Challenge Packs, Contracts, and more. The first of numerous free live content updates will include the upcoming Elusive Target mission starring international actor Sean Bean, who will take on the role of Mark Faba, a former MI5 agent turned freelance assassin who is notoriously known as “The Undying” due his reputation as a master of faking his own death. Elusive Target No. 1 Starring Sean Bean, entitled The Undying, will release on November 20, one week after Hitman 2 launches on November 13, and will run for a limited time. These missions are free for all players, allowing one chance to assassinate the target and if not successfully cleared, the contract cannot be retried. Hitman 2 is due out for PlayStation 4, Xbox One, and PC on November 13. PC, PlayStation 4, Xbox One, Clips, Hitman 2, Io Interactive, Trailers, Warner Bros.